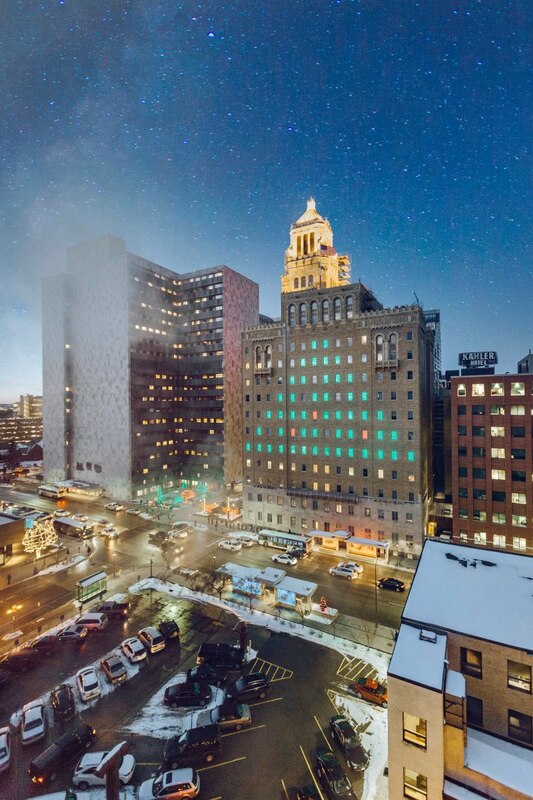 From Thanksgiving Eve, November 23rd until January 2nd, the Holiday Lighting of the Plummer Building illuminates Rochester, MN for a festive spirit. 60 panels with more than 7,000 LED lights form a 96 feet wide and 108 feet tall tree. Illumination begins at 4:30 p.m. and runs daily, including weekends until 8 a.m.
Digital Download, no sales tax. High resolution photo is for personal usage. Contact us for commercial usage.